Music simulations have come from nowhere to become the second most popular gaming genre in the US, according to a survey by independent market research firm Odyssey. Odyssey's data shows that 58% of console game players are playing music sims like Guitar Hero and Rock Band, making it the second most played genre among console game players, lagging behind only action games (65%). The main victims of big hair bands and crashing guitar chords have been sporting games, which now are now played by just half of console gamers. Just 36% of American gamers are playing RPG games, while 'other sims' trail even further behind with just 32%. 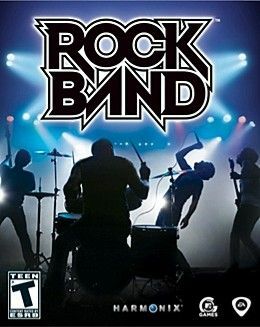 "The phenomenal success of the Rock Band and Guitar Hero franchises in the past year has reshaped the landscape of the console game market," said Odyssey's President, Nick Donatiello. In contrast to the other top console genres, where the majority of players are male, Odyssey's data shows that 53% of those who play music sims are female. The survey also found that 40% of US household now have an active video games consoles, the highest figure ever.